A horror story is emerging from the southwest of the United States where bee keepers are waking up to find their bee farms wiped out after aerial spraying with a substance called Naled, a common insecticide that kills mosquitoes on contact has also killed millions of bees and other insects. Stressed insects tried to flee their nests, only to surrender in little clumps at hive entrances. The dead worker bees littering the farms suggested that colony collapse disorder was not the culprit — in that odd phenomenon, workers vanish as though raptured, leaving a living queen and young bees behind. It marked a departure from Dorchester County’s usual ground-based efforts. 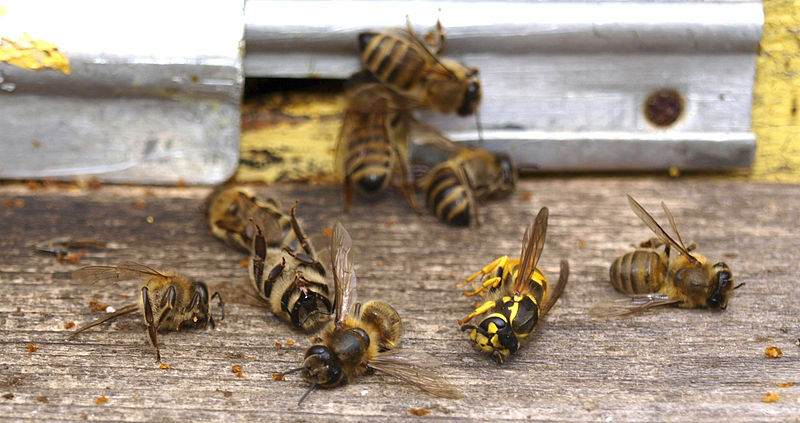 For the first time, an airplane dispensed Naled in a fine mist, raining insect death from above between 6:30 a.m. and 8:30 a.m. Sunday, blissfully unawere he killing millions of bees too. Didn't our evil government release genetically altered mosquitoes in the Keys recently and now all of a sudden we have Zika virus in Miami? They never ask the people they just do whatever the hell they want.